Commercial and Industrial Services | Freehold Cartage Inc. Whether you run a large manufacturing plant or a small business Freehold Cartage Inc., offers a wide array of commercial and industrial services for all types of companies. We have the solution for all of your waste disposal needs. By choosing Freehold Cartage, you are dealing with one of the oldest, most reputable and professional waste removal companies in New Jersey. 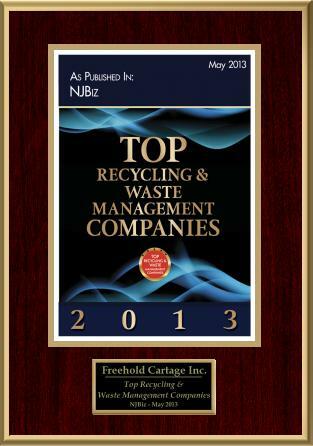 Call on FCI for all of your commercial and industrial waste removal requirements.